Living... in Gravity Falls, Oregon, for the summer with her twin brother Dipper and their great-uncle Stan (aka “Grunkle Stan”). Mabel dives into new situations with incredible enthusiasm and was ready to embark on a hunt for an “epic summer romance” when she found something way more strange – that Gravity Falls is the home to a remarkable amount of supernatural creatures and curiosities. Profession... employee at the Mystery Shack, though she spends most of her time with her brother Dipper investigating the paranormal in Gravity Falls. He found a journal in the woods, written by a mysterious author, with information on the strange occurrences within – and below – Gravity Falls. Interests… glitter, friendship, giant sweaters, knitting, crafting, unicorns, and boys. Relationship Status... looking for the great love of her life. In Gravity Falls, there’s more than meets the eye to just about everyone, which makes it difficult to get a relationship off the ground. For instance, Mabel has fallen for boys who turned out to be a handful of gnomes, a merman, and a group of clones who are forced to sing in a boy band. Challenge... surviving a summer surrounded by wondrous creatures without losing the childlike wonder that makes her want to explore them. 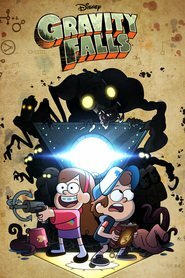 Gravity Falls is full of magic and danger, but what really scares Mabel is what happens when she goes home and has to start middle school. Though she is outwardly outgoing, deep down she gets nervous just like everyone else. Personality... bubbly, loud, energetic, silly, and optimistic. Mabel always has a positive outlook on a situation, which is very important when the more pragmatic Dipper might be ready to give up. She loves animals, most of all her time-travelling pet pig Waddles, and shows unending support for her friends. Perhaps that’s Mabel’s super power – making new friends quickly and lifting them up to exciting new heights with her joy and energy. Mabel Pines's popularity ranking on CharacTour is #669 out of 5,000+ characters. See our top-ranked characters and read their profiles.